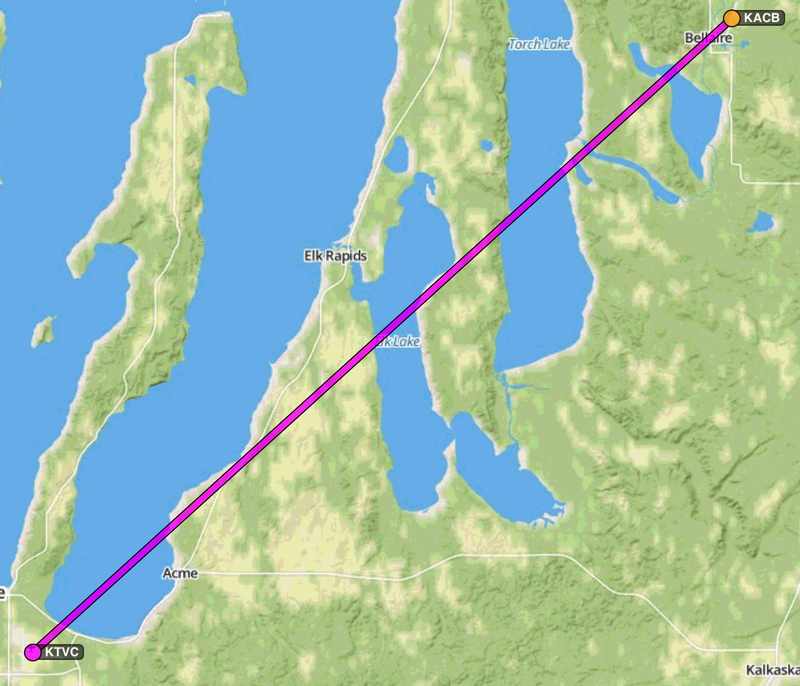 It will take longer to write this blog entry than it took to fly from Antrim County to Traverse City. More to the point, it took longer for TW to drive us up to the first airport than it took to fly down to the next. This was one of those silly flights you take during a trip: very, very short, but it was important to get the plane closer to where we would be for the next couple nights. We had a gorgeous flight over Torch Lake, with the aqua blue water and flotilla of boats over the sandbar. Our hosts on the lake could not have been more hospitable, or the scenery more stunning. Although it was short (and busy, with a bunch of radio work), it was an excellent flight for demonstrating that I have really started to gain solid piloting skills. I was flying from one uncontrolled field that I was unfamiliar with, over water to another, fairly large, towered field that I was unfamiliar with. The larger field is big enough to have schedule airline service. It was a hot, mid-August day with sweaty passengers (and pilot), but I didn’t miss a beat from the moment we packed up the tie-downs to when the propeller stopped spinning at the FBO. There was considerable traffic into Traverse City (KTVC, which I always kept hearing in David Bowie’s voice), and a couple little planes made mistakes which angered the tower controller. But I was always where I was meant to be and said the things I needed to. I even got a “Thanks for your help,” as I turned off the runway onto the taxiway. That’s a good feeling. Rudy’s friend H was staying at the Great Wolf Lodge in Traverse City during a two week tour of northern Michigan. 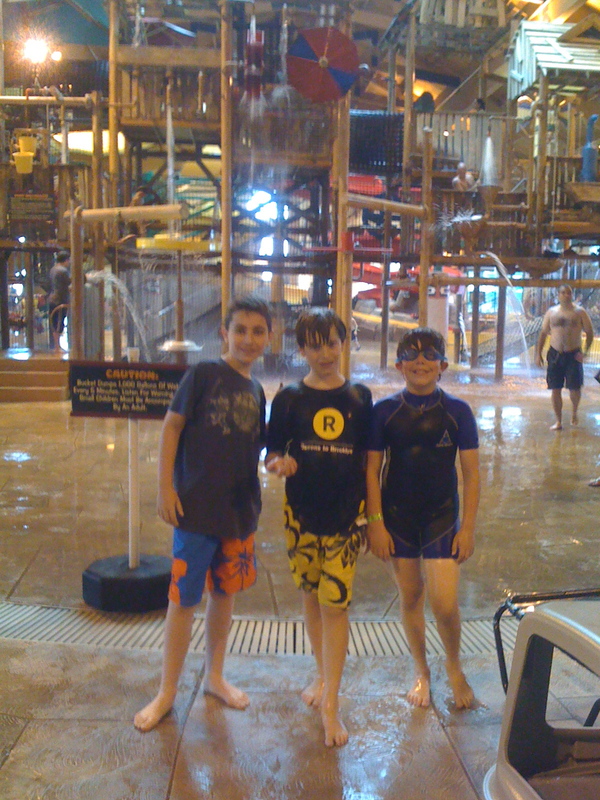 The Lodge has a water park in the hotel. There are a dozen different slides and pools and a huge bucket of water that dumps 1,600 gallons every twenty minutes. Outside there was miniature golf, which I think the boys did once. 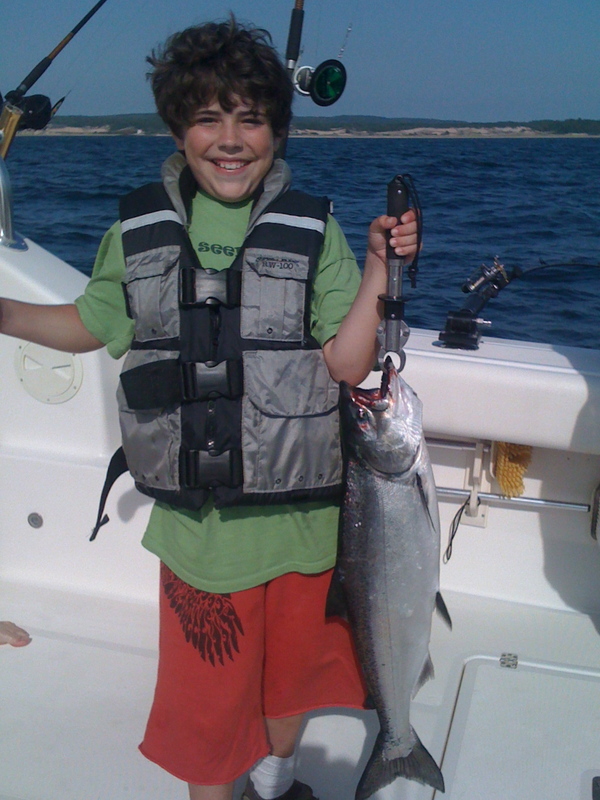 The total haul for the our boat tipped the scales at a few more pounds than H’s boat. The charter crew filleted all of the fish and packed it into ziplock bags for us. 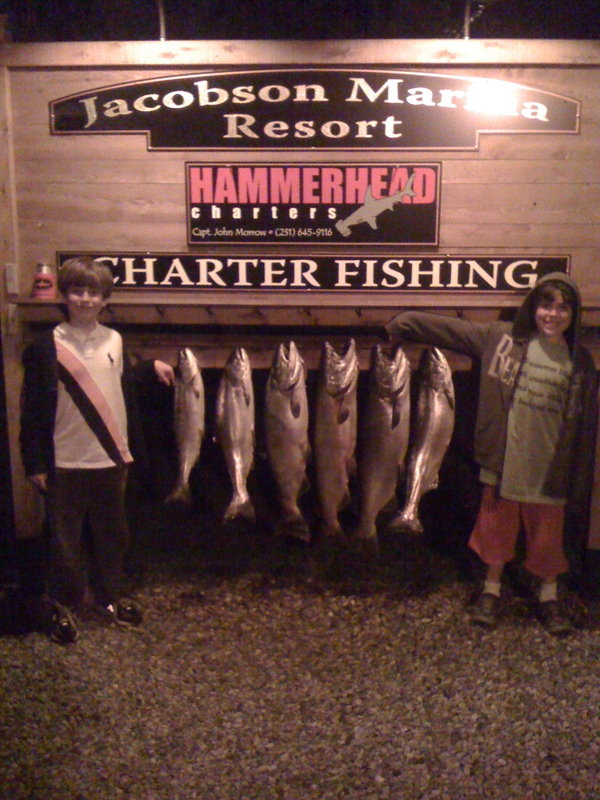 We had three coolers full of salmon, most of which H’s family took to their cabin for a BBQ the following week.